In the last few years, the securities attorneys at The White Law Group have grown concerned over the potential for investors to suffer losses arising from their purchase of Master Limited Partnership (MLP) investments at the recommendation of their brokerage firm or financial advisor. This article will explain the basics of MLPs and where we believe there are potential risks for the investing public. What Are MLPs, How Are They Structured, and Why Are They Sold? In the United States, MLP investments are limited partnerships that are publicly traded on an exchange, much like shares in a corporation, qualifying under Section 7704 of the Internal Revenue Code. For a business to qualify as an MLP, the IRS requires that at least 90% of its revenue come from the natural resources industry or real estate. In theory, MLP investments combine the tax benefits of a limited partnership with the liquidity of a publicly traded security, such as stock in a corporation. Investors in MLPs are considered limited partners, while the general partner in the MLP owns a small share of the entity, usually 2%, and manages the MLP. Unlike a corporation, an MLP does not pay income taxes on its profits at the business entity level. Taxes are only paid on money received by the MLP when it is distributed out to the partners, who report that income on their personal tax returns. Combined with the limited liability protection afforded to limited partnerships, this can make it attractive for a business venture to structure itself as an MLP – it can raise capital from investors and offer them the liquidity of publicly traded investments while avoiding the tax consequences that a business formed as a corporation might incur. From the investor’s perspective, MLPs may be offered as a tax-advantaged investment opportunity. Unlike dividends paid by stocks or interest payments from bonds, investors in MLPs have the opportunity to claim the depreciation of the MLP on their tax returns, which can reduce the potential tax liability they would otherwise have for the income they received from the MLP. What Are the Risks to the Investor? MLP’s are complex investment vehicles that may be difficult for the average retail investor to understand. The limited liability protection afforded to the MLP, the requirements of complying with the Internal Revenue Code and the specific contractual terms set for the in the partnership agreements that govern the operation of the MLP can make it difficult for investors to understand how their investment will operate or what the risks involved in the investments are. Below is a brief list of just some of the risks that investors in MLPs may be taking by investing. An MLP’s partnership agreement, which is essentially the contract that governs the operation of the MLP, will detail the MLP’s requirements relating to distribution cash on a quarterly basis. Because MLP’s trade as a multiple of cash flow, MLP’s are incentivized to distribute most, if not all, of its “available cash” to the investors. However, because MLPs pay out most of their income to the investors, the business may be dependent on borrowing or raising capital by selling additional units of the MLP to new investors in order to raise new capital. Issuance of new units result in dilution of the individual investor’s unit value, while increased borrowing by the Master Limited Partnership may create other problems for the investors (such as subordinating the investor’s right to payment to other, secured creditors). Generally, the higher the quarterly distribution rate stated in the MLP contract, the higher the management fee. This can create a conflict of interest for the management – the more they promise to pay, the more they will be paid. Consequently, the MLP may take additional risk as a business to find revenue to meet its payment obligations. Because MLPs are required to derive 90% of all revenues from the natural resources industry or real (i.e., “qualified income”), their performance is nearly entirely linked to the performance of these sectors and they are subject to the risks of those sectors. Like other oil and gas investment vehicles or real estate investment vehicles, MLPs are subject to the change in market conditions of those underlying sectors. When the price of oil and gas falls or when oil production declines, as both have in recent months, MLPs suffer. And in recent months we have seen a substantial selloff of MLPs, which has forced the valuation of these publicly traded investments lower. Financial advisors and brokers typically receive high commissions and fees associated with MLPs, financial advisors and brokers recommending these products stand to gain by maximizing sales of MLPs and other high commission paying products. In some cases, investors may be advised to invest substantial or even over-concentrated percentages of their assets in these products. Because Master Limited Partnerships are extremely dependent on external sources of capital for growth, as described above, they can be particularly sensitive to reduced bank lending such as investors may see during market crises. As yield-based investments, MLPs carry interest rate risk and typically underperform in rising interest rate environments. Investors may overlook the overall return from an MLP, blinded by the promise of higher yields. However, high fees can erode the overall return on these investments. Some MLPs may return the investor’s principal, which may be perceived by the investor as actual yield. 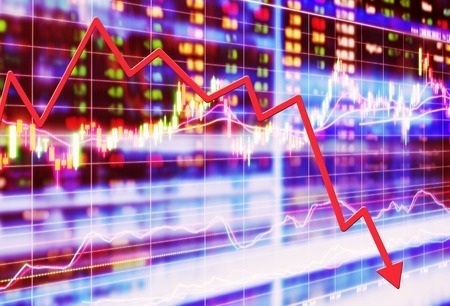 Market watchers and economists have written at length about these and other risks associated with MLPs over the past several months as the Master Limited Partnership market has seen a substantial selloff and decline in value. Other commenters, though, continue to espouse the merits of MLPs as investment opportunities. As a firm experienced in cases involving structured products and alternative investment vehicles, The White Law Group remains concerned about the potential for unsophisticated, average retail investors to be inappropriately led into investing in MLPs. In the current low-yield environment, the promise of higher than average yields from MLPs makes them prime candidates for these products to be sold by financial advisors and brokers to retail investors seeking income. Unfortunately, because MLPs also include large sales commissions, there is a financial incentive for advisors and brokers to recommend these products even to investors who do not have the sophistication to be able to understand the risks they are taking by making this type of investment. In short, Master Limited Partnerships are complex investments subject to numerous risks that are difficult for the average investor to learn of, let alone understand. They are only appropriate for sophisticated investors who are capable of understanding the risks they are taking with these investments and are able and willing to take those risks. The White Law Group continues to investigate the liability that brokerage firms may have for improperly recommending MLP investments (and, in particular) oil and gas MLPs.